Keen as mustard to find out more about Ernest Journal? Here’s a few words, straight from the horse’s mouth. Well, their website. “It is a guide for those who appreciate true craftsmanship, who are fascinated by curious histories and eccentric traditions and who care more for timeless style than trends. If you are itching to get your peepers at the inaugural iPad outing then toddle over to the App store and take a chance. You won’t regret it. After all, it includes a rather entertaining soap review from yours truly. If like me you don’t possess one of these pretty nifty slabs of modern technology, fear not! The people that bring you Ernest are putting together an Android version too. Thank the Lord! 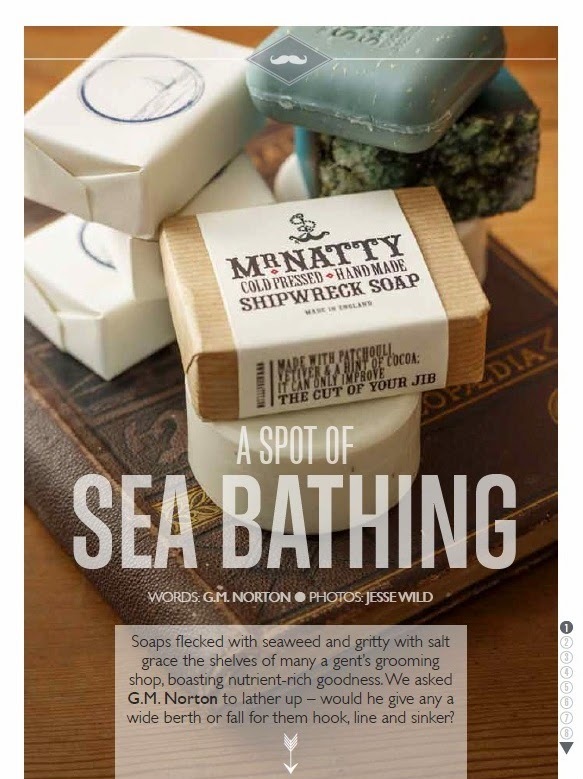 To tempt you further, here is a little glimpse of my nautical-themed extravaganza of soapy goodness. How could you possibly resist now, what?